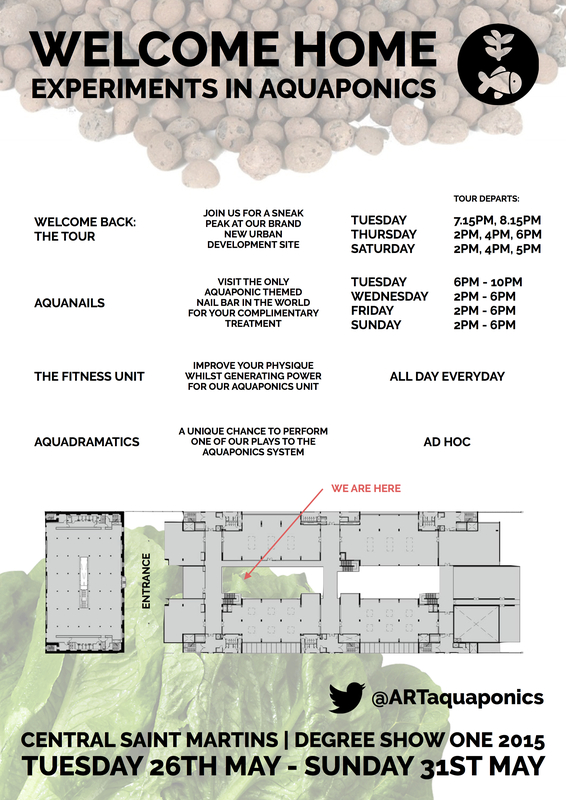 Improve your physique whilst generating power for our aquaponics unit! 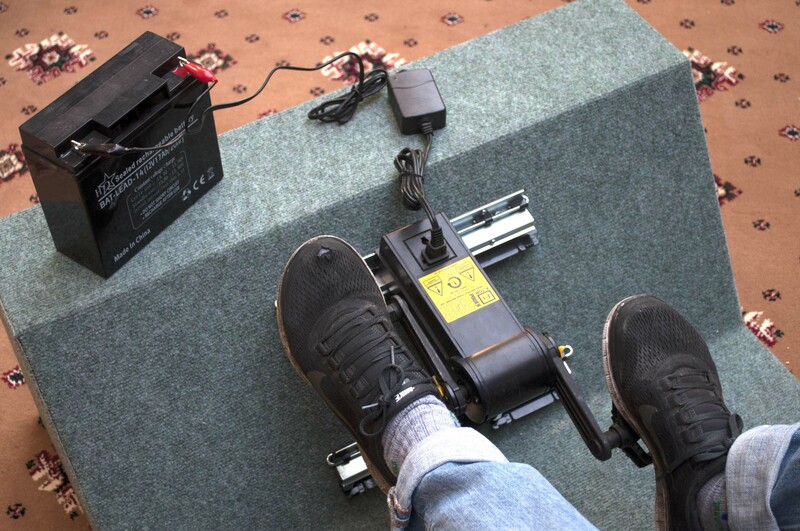 By pedalling to charge up a car battery we can run the electric pumps and lights needed for our system. 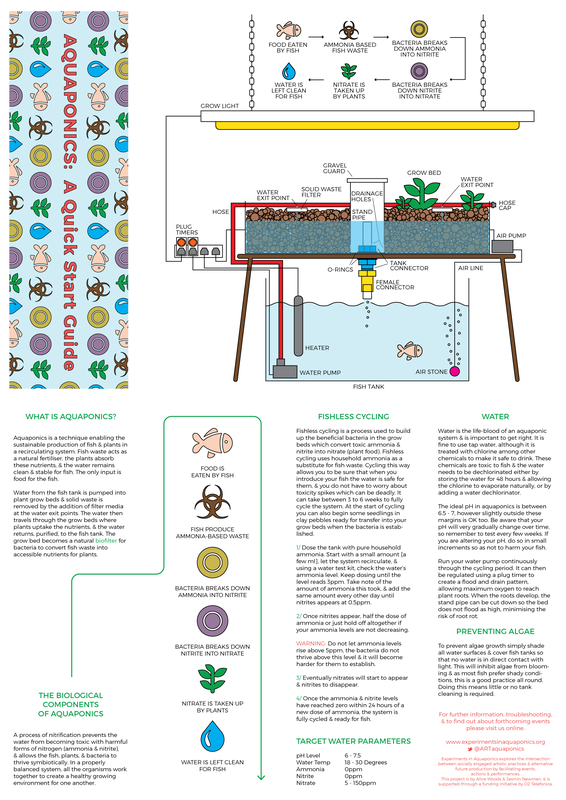 Aquaponics is a technique enabling the sustainable production of edible fish and plants in a re-circulating system. Fish waste acts as a natural fertiliser, the plants absorb these nutrients, and the water remains clean and stable for fish. The only input is food for the fish. Water from the fish tank is pumped into the grow beds and solid waste is removed by the addition of filter media at the water exit points. The water then travels through the plant grow beds where plants uptake the nutrients, and the water returns, purified, to the fish tank. The grow beds become a natural biofilter for bacteria to convert fish waste into accessible nutrients for plants. Situate the fish tank underneath the grow bed(s). 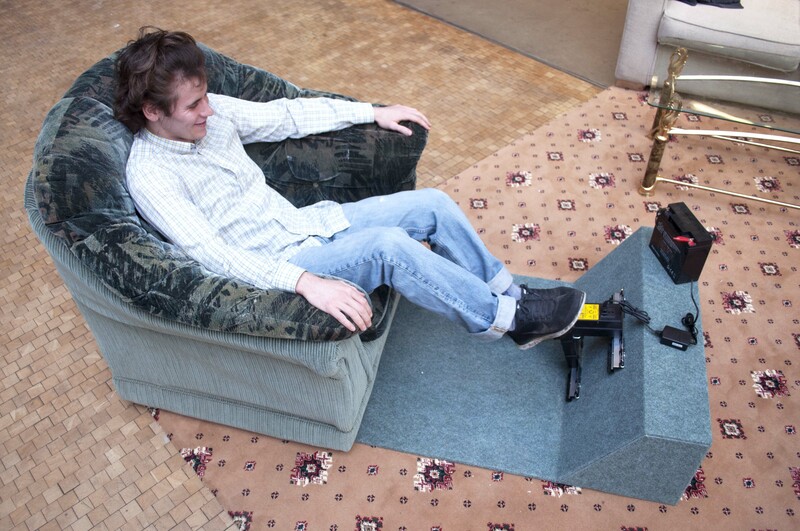 The easiest way to do this is by modifying a table, constructing a frame or using breeze blocks or bricks for supports. 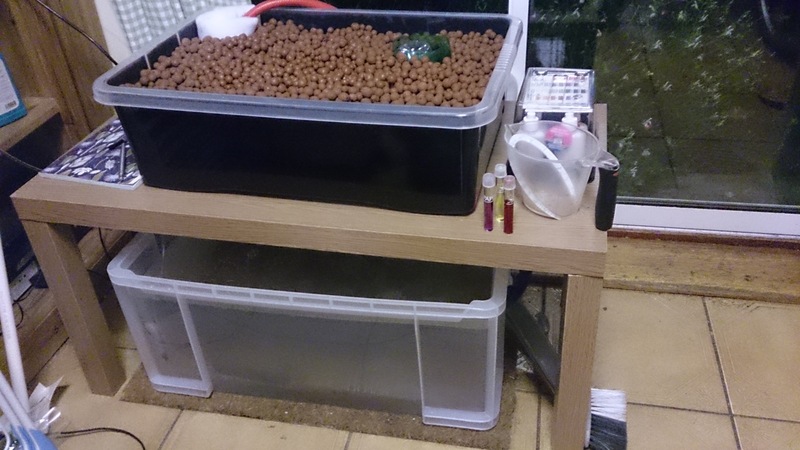 Once you have decided where the grow beds will be in relation to the fish tank it is time to fit the plumbing. Using a ¾ inch hole saw, drill a hole in the centre of the bottom of the grow bed. Position an O Ring on either side of hole and place the tank connector through the grow bed. 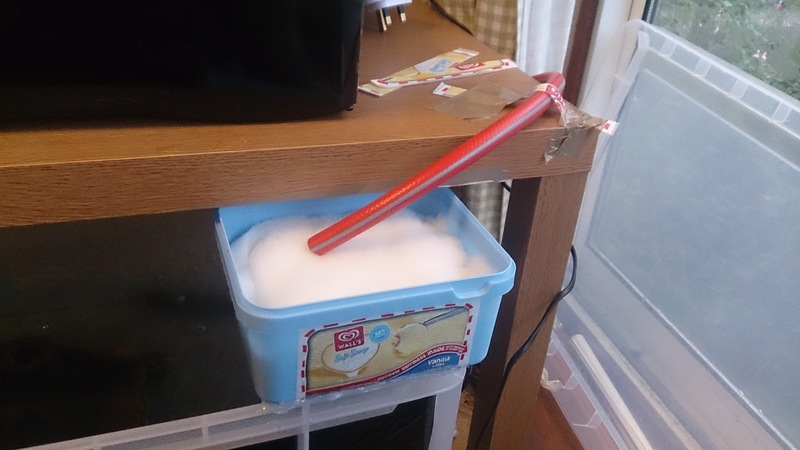 Adding some marine safe sealant at the join can help in achieving a watertight seal. To create the stand pipe, cut a piece of PVC pipe, so the length is 2 – 3 inches below the top of the grow bed, and drill a drainage hole near one end, making sure it is not blocked by the base of the tank connector when inserted. Cut the wider PVC pipe taller than the grow bed to act as a gravel guard, and drill three rows of evenly spaced holes around the bottom of the guard to allow water but not grow media in. Place guard over stand pipe and use sealant to secure. Fit the hose to the water pump and place it in the fish tank. Cut the hose to size so it reaches the grow bed, if constructing a system with more than one grow bed, the hose must be long enough to pass through all of the beds. Before fixing the hose to the grow bed check the system for any leaks. Partially fill the bottom tank and switch the water pump on. As water fills the grow bed it should drain back into the tank through the standpipe. Once the pump is switched off, water should drain slowly away through the small drainage hole in the stand pipe. If there are leaks drain the system and seal with marine safe sealant. Allow it to dry and check the system again. Fix the hose to the grow bed by drilling another two ¾” holes in a way that allows the hose to run along one side of the grow bed just beneath the top. Drill 3 – 5 evenly spaced 3mm holes in the hose to allow the water to enter the grow bed, and secure hose in place. Fit and seal a hose cap to the open end of the hose. Check the system plumbing again. Connect the air stone, air line and air pump. Drop the air stone into the tank, keeping the air pump above the water level. The air pump can be attached to the frame. Fill the tank with de-chlorinated water. It may be easier to fill the tank through the grow beds if access to the tank is awkward or limited. Switch on the air pump and heater. 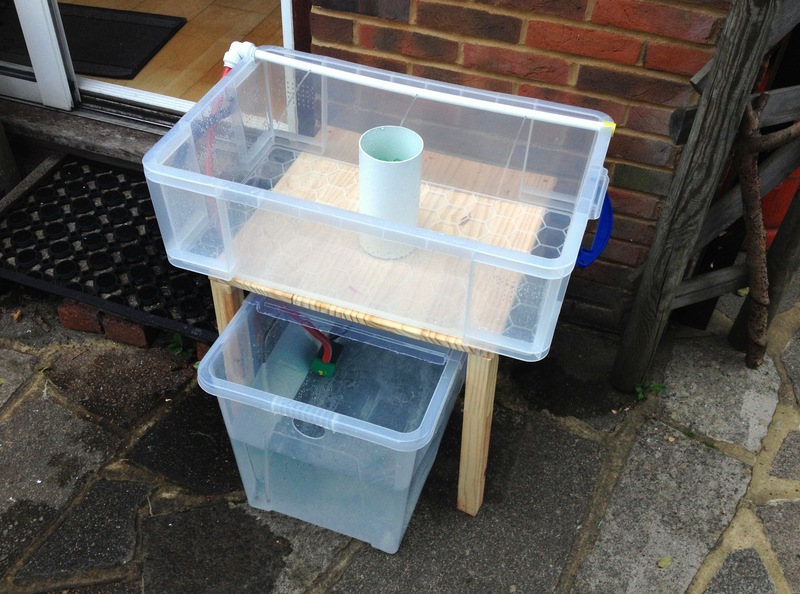 The system is now ready for fishless cycling and water testing. 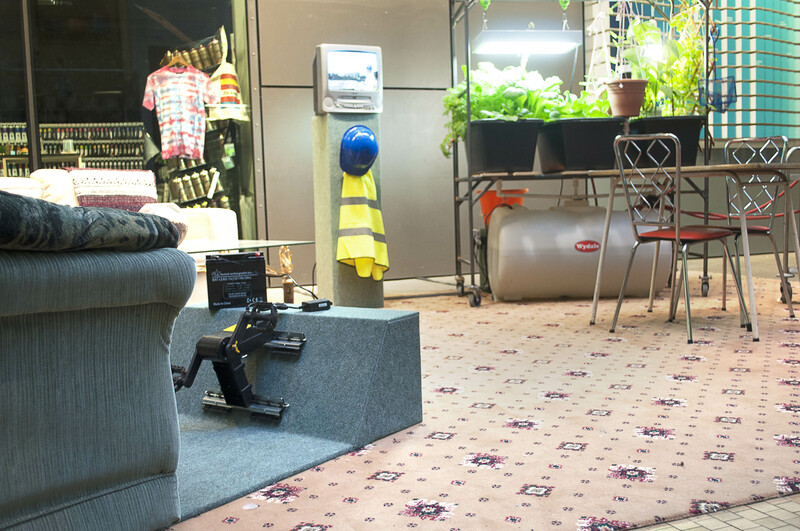 Run the water pump continuously through the cycling period, it can then be regulated using a plug timer as required depending on your plants. Having the pump on for 15 minutes every hour is usually sufficient and gives enough time for the water to drain completely from the grow bed allowing oxygen to the plants roots. When the roots develop, the stand pipe can be cut down so the bed does not flood as high. 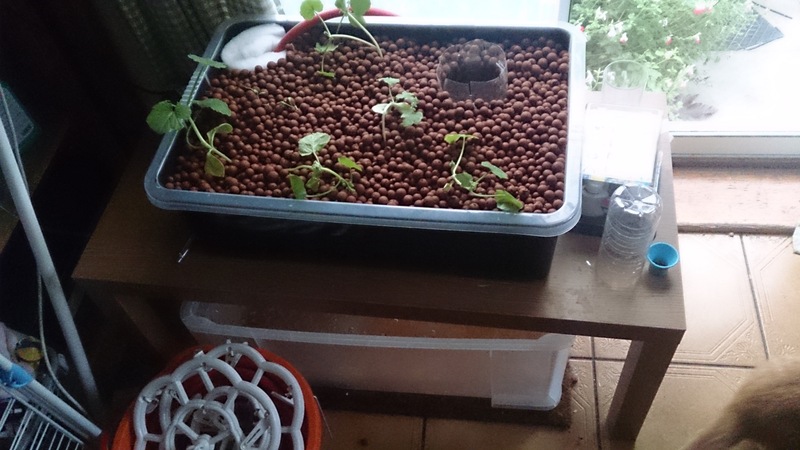 Water is the life-blood of an aquaponic system and is important to get right. It is fine to use tap water although it is treated with chlorine and chloramines among other chemicals to make it safe to drink. These chemicals are toxic to fish and the water needs to be dechlorinated either by storing the water and allowing the chlorine to evaporate naturally (24 hours) or adding a water dechlorinator (immediate). Hope these instructions are useful! 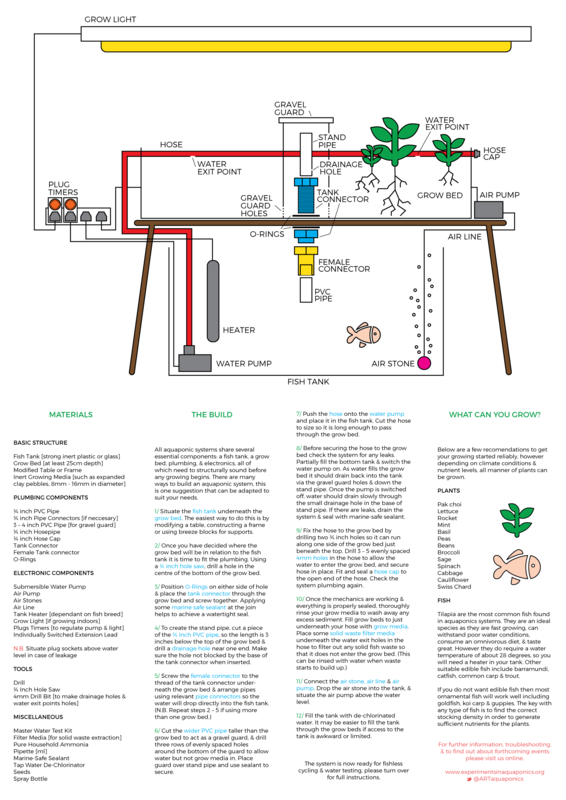 We are currently producing a quick-guide publication on Aquaponics, so any feedback is very helpful. Happy Building!